Last night, I decided that I needed a day out of London whatever happened. I'd (almost) reached a threshold with the gull watching near home, and not going away this half-term, a brief respite was needed. 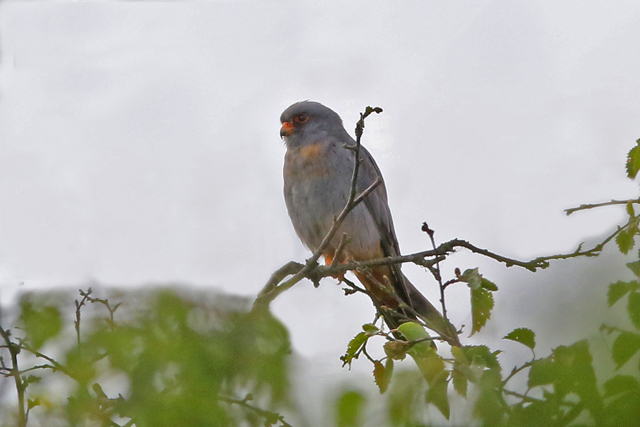 Young Dante had said at the start of spring that he really wanted to see a Red-footed Falcon, and with a 1st-summer male present until late at Dunwich Heath, Suffolk yesterday evening, a plan was hatched. It had been a while since I'd seen one in Britain too. And it was a lovely late spring morning to boot too as we arrived at c.6.30am. Bitterns booming, Cuckoos calling, Dartford Warblers scratching away along with a far carrying cry of multiple Mediterranean Gulls. As if that wasn't enough, a 1st-summer Little Gull flew north over us as well. It was a real tonic from scanning through London's scabby 1st-summer gulls, much as I do still love them. After just less than an hour of searching, Dante spotted a grey blob in a very distant tree that turned from '99% a Woodpigeon but worth a scope' to 'I think that it actually looks pretty good' and with that, the target bird was nailed early doors. With a bit of fieldcraft, this nice looking 1st-summer male Red-footed Falcon did show well. 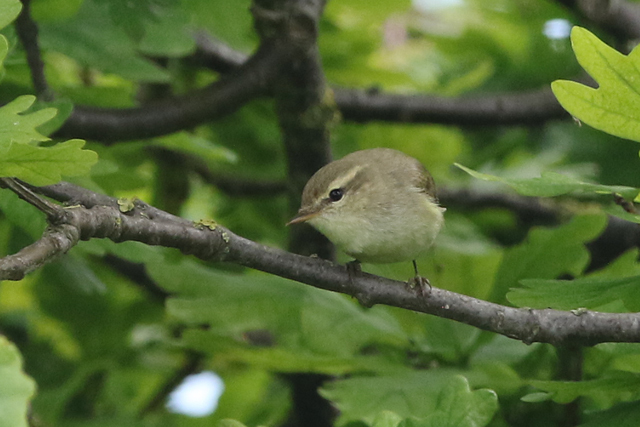 Same plumage as the one I ticked at Prawle, Devon that was scarily 21 years ago this Friday. Though the sheltered reedy valley it favoured was typically fringed with trees so getting a clear view was fairly tricky. At one point, I could see it devouring a decent sized dragonfly and then as the morning started to warm up, it got a bit more active as it sallied over the reeds. And with news of a singing Greenish Warbler in coastal Essex, it was time to pack up and head off. 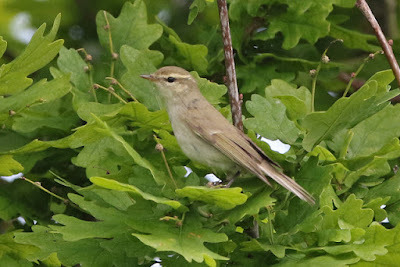 It was late morning by the time we arrived at Colne Point, having navigated ourselves to the small area of bushes and houses at Wall Street just inland of the seawall. On arrival, the bird was showing to the small crowd who were gathered on the seawall. And singing nicely too, with three or four 'chee' notes and then a little warble at the end - fairly pleasant but it'll be unmemorable as time fades if I'm honest. Initially it favoured a conifer before setting up stall in a small oak at the west end of the area. 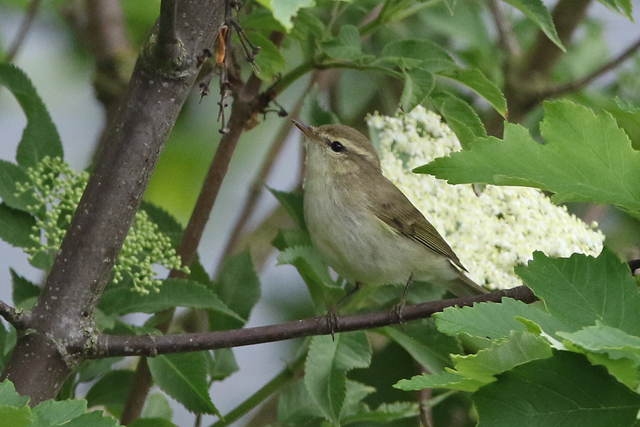 Try as I might to turn it into anything rarer, it was a lovely classic looking Greenish - the first one I'd ever seen in Britain in spring!